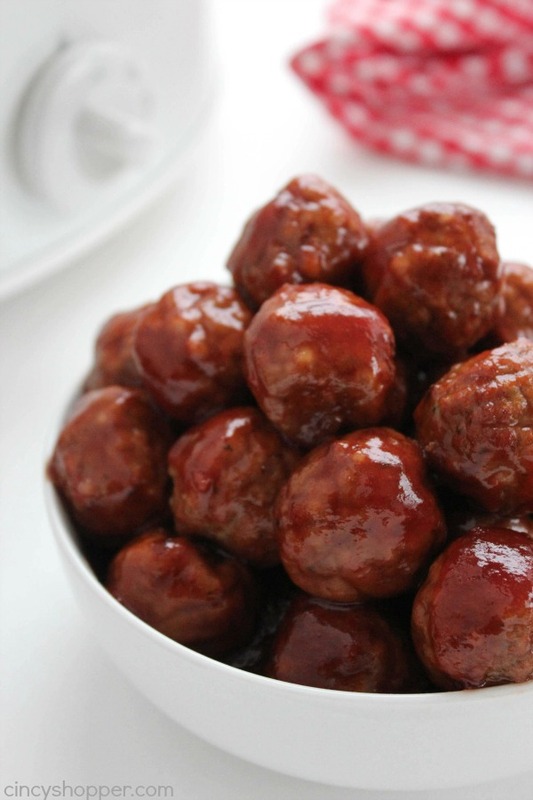 These Slow Cooker Party Meatballs are going to make for the perfect appetizer at most any party you are having or attending. Sweet with a little bit of spicy kick. 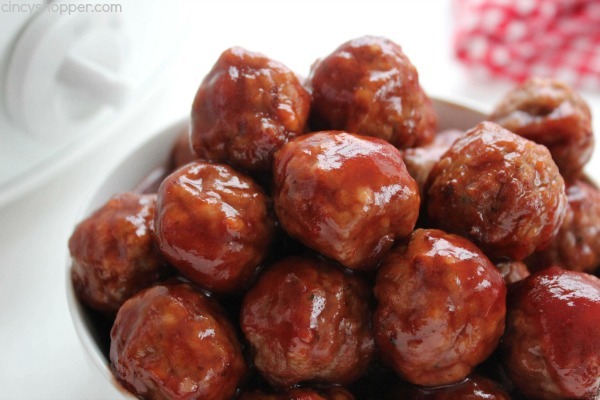 Store bought meatballs loaded with chili sauce, grape jelly, and a few spices, they come together very quickly. 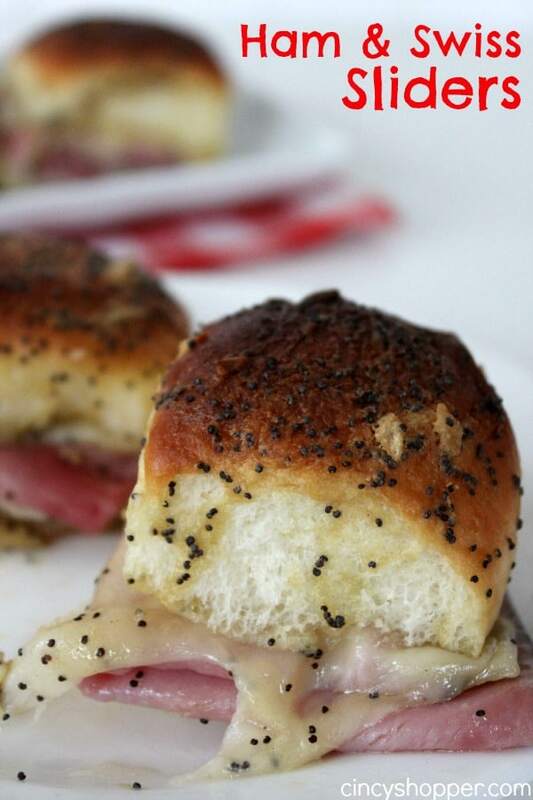 It’s New Years Eve and our evening could not be complete without our favorite Party Meatballs made in the Crock-Pot or our Ham & Swiss Sliders. My entire family loves these things. 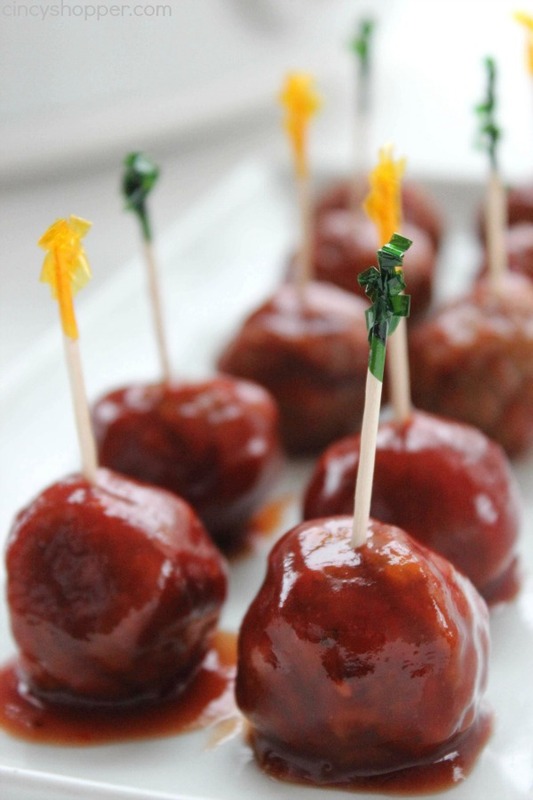 Our party meatballs are always one of these first appetizers to be finished at most every single party we host or potluck we attend. I like how super simple they are to make. 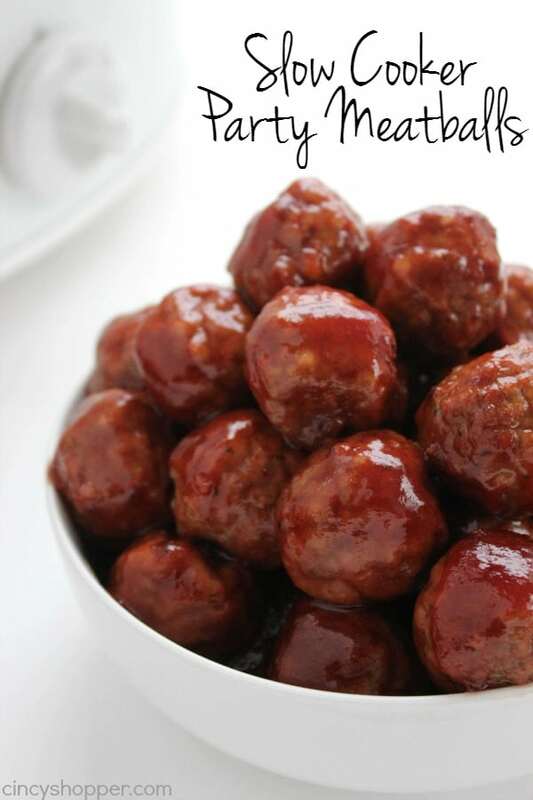 I was able to whip up these cocktail meatballs in just a few minutes time. You will find them perfect for potlucks, the holidays, game day, New Year’s, and even spring and summer BBQ’s. 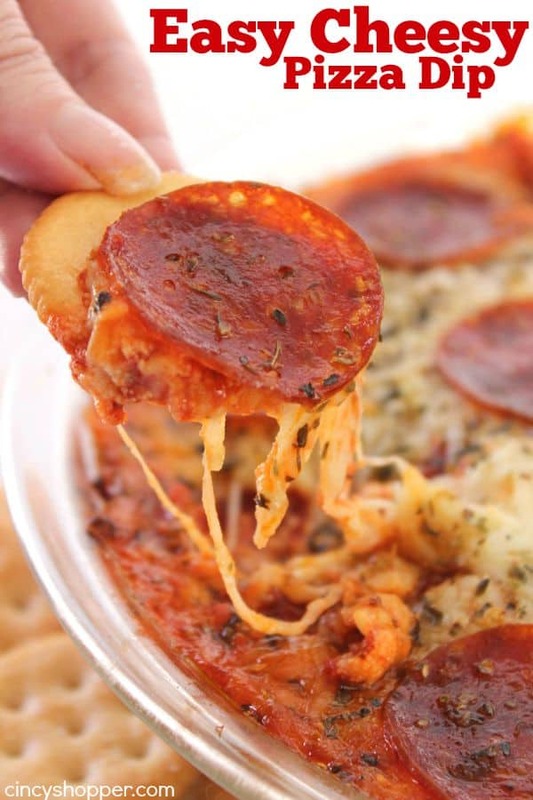 Super Bowl Sunday is just around the corner and we always make a batch. 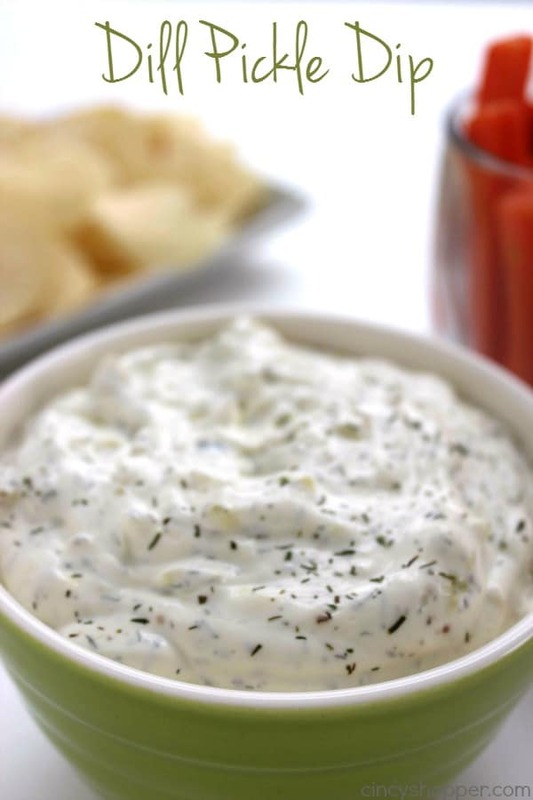 You will find them perfect for the Big Game. Sometimes I will serve some small bakery rolls on the side for the kiddos to make little meatball sliders. 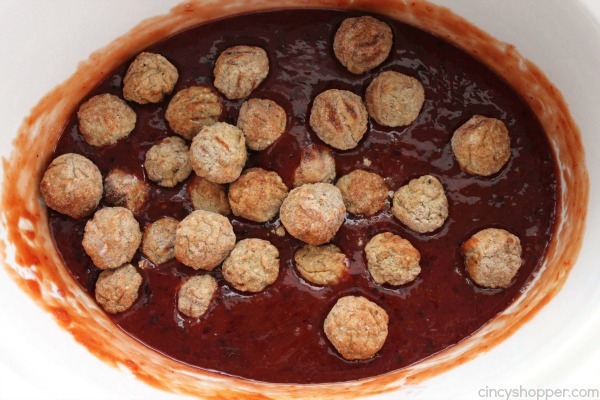 Plus if you run low on meatballs, you can dip the bread in the leftover sauce that remains in the Crock-Pot. Super yummy and just another option for enjoying these little guys. 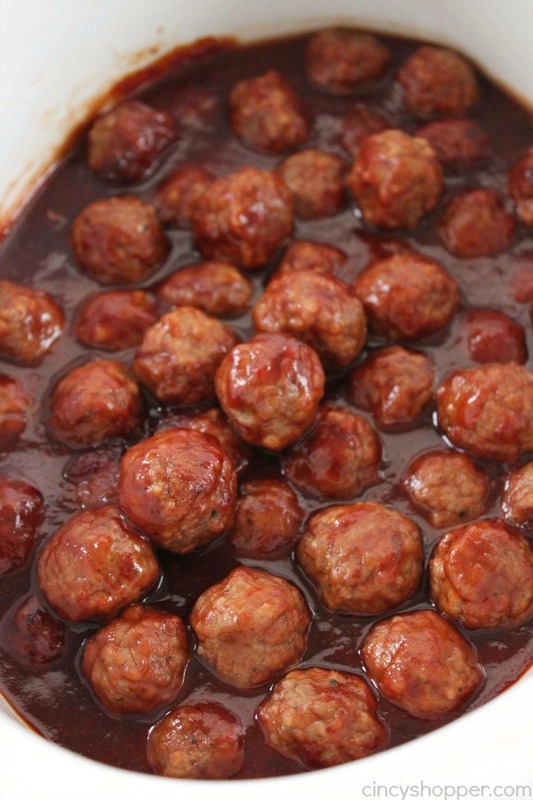 The grape jelly adds just a bit of sweetness and really makes the sauce stick to the meatballs. 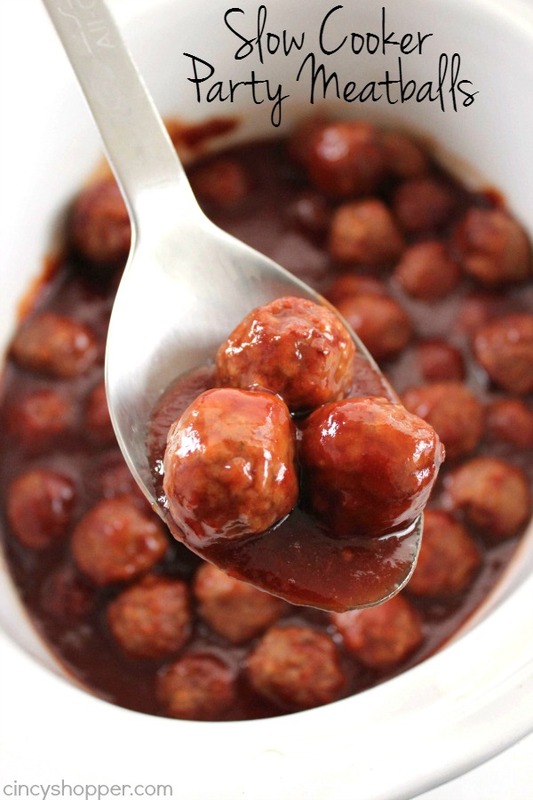 The sauce also works great for the little cocktail weiners that are perfect for parties too! 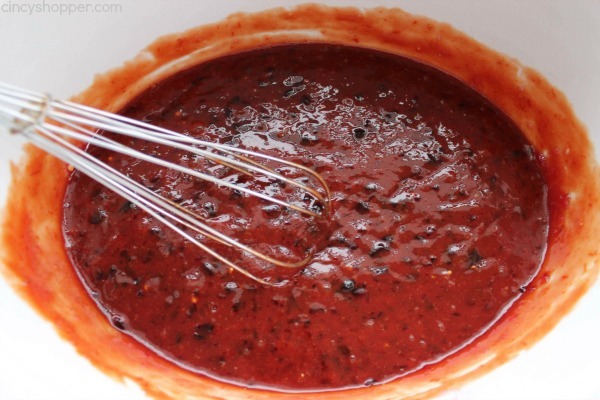 The sauce has just a bit of spice that combines so well with the sweet. 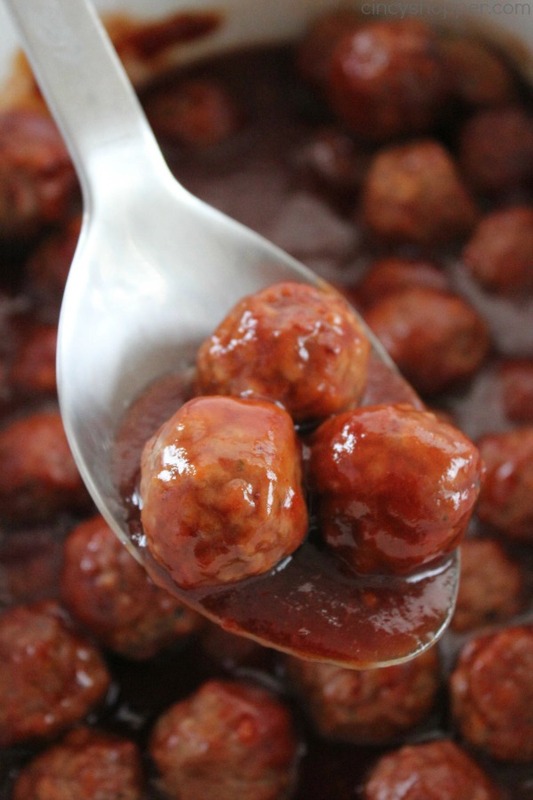 You can just leave your Slow Cooker Party Meatballs right in the Crock to keep them warm or set them out on a platter with toothpicks for guests to just grab and go. 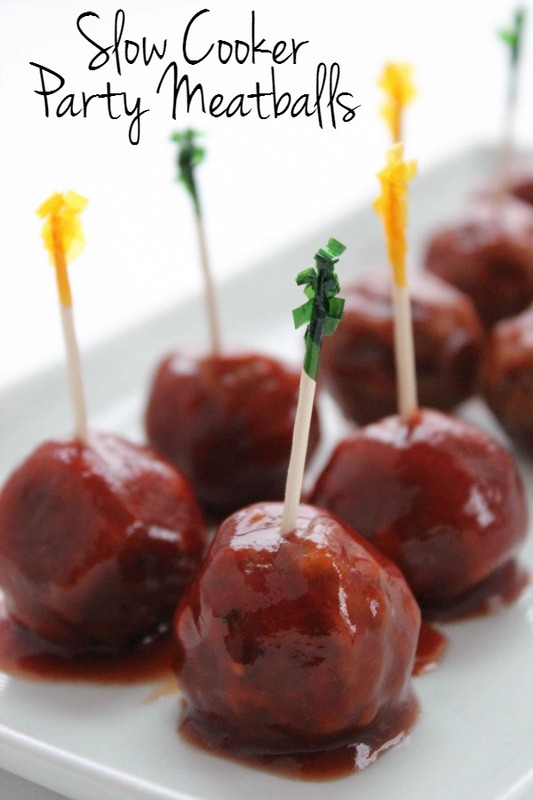 If you are serving these on game day, you could serve them with your favorite team colors. 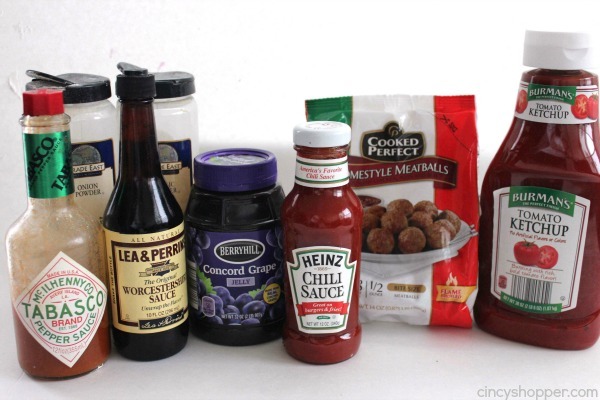 To make this recipe you will need some meatballs, store bought or homemade, a bottle of chili sauce, grape jelly, Worcestershire sauce, Tabasco Sauce, and a few spices. 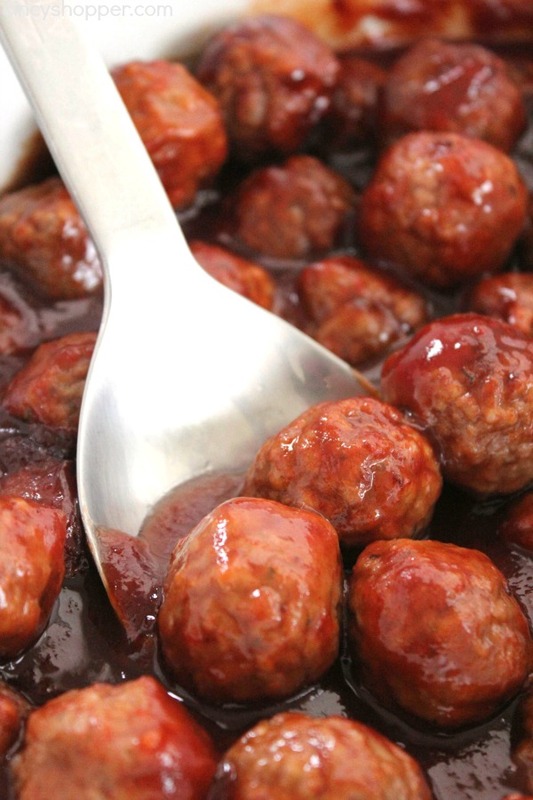 Whip everything right in your slow cooker and add in the meatballs. So super easy. 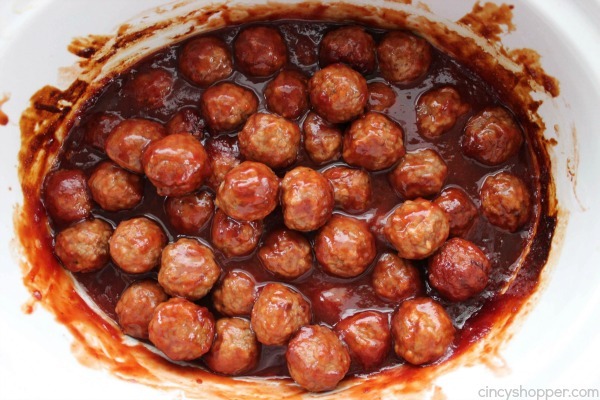 Add all ingredients except meatballs to slow cooker and stir until mixed. 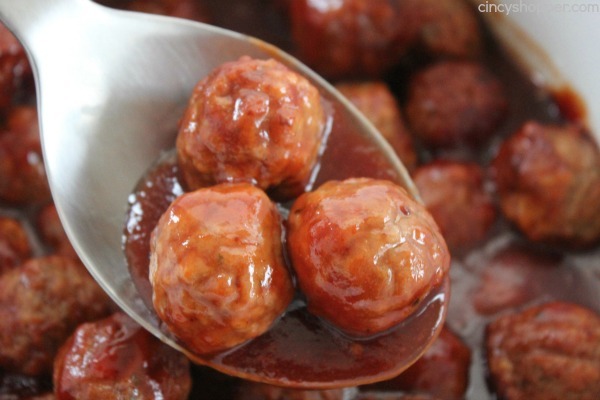 Add meatballs and stir to coat. 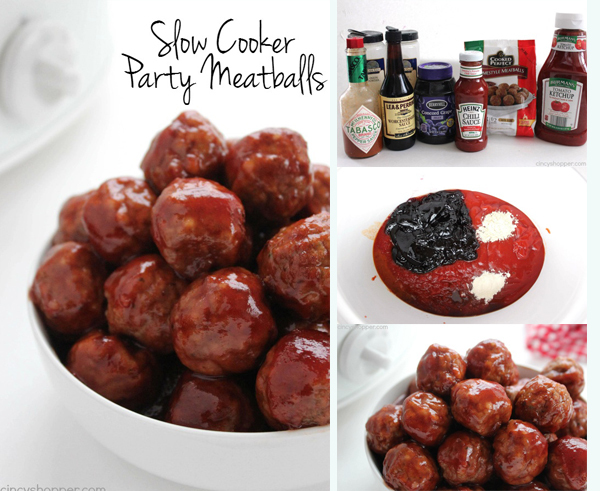 Do you have a favorite party meatball recipe that you make for your parties? 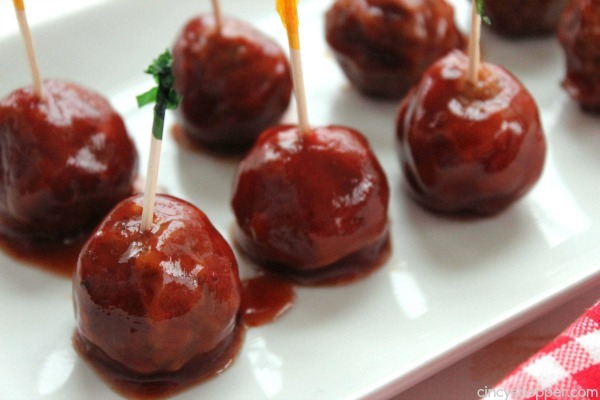 These look great for a Football party! Thanks for the recipe! Thanks for linking up to Merry Monday! Sharing on G+! Have a great week! Clearly you have planned what I will be preparing for Super Bowl Sunday. Thank you, thank you, thank you! Fabulous job! I would love for you to share this at our What’s it Wednesday Linky Party! Fantastic way to start the year with inspiration. 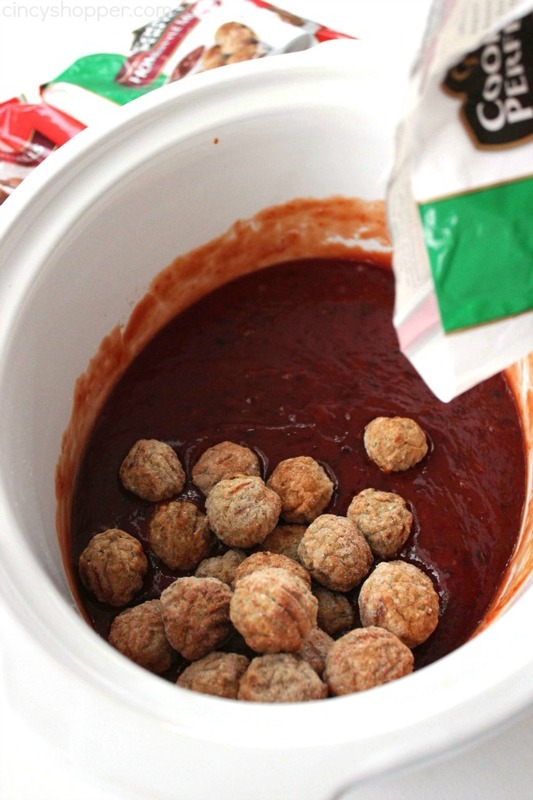 Do you have to thaw the meatballs first or can you place them in crockpot frozen? 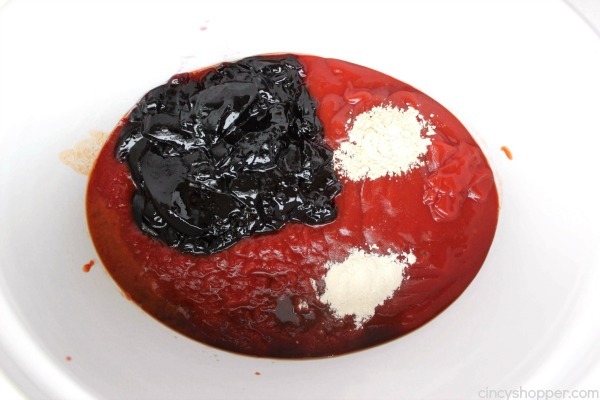 No need to thaw beforehand:) Just toss them right in frozen. can I make these stove top? for faster prep..I was thinking prepping stove top and then crock pot to keep warm.